If you cannot find the related mods category, don’t get upset because maybe you need something really specific. Then it can be the case that you need to check Spintires: MudRunner Sergey Pasichnik Mods. Here lay all special files which doesn’t fit in any other topic. So, you will need to scroll through every Spintires MudRunner Mods Sergey Pasichnik and check, if that is the one. 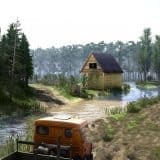 Even if you are not very sure, Spintires: MudRunner Sergey Pasichnik Mods free files are completely costless – you can try again and again. Especially when the gaming world is so hectic and changing every day! 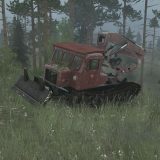 So, don’t hesitate and complete the Spintires: MudRunner Sergey Pasichnik Mods download within few seconds. The best part of it is that Spintires Sergey Pasichnik Mods will save you a lot of time and effort later – it is a great investment! If we caught your attention, Spintires Sergey Pasichnik Mods free database is available for everyone without any limits. Now it’s up to you, if you are ready for the big changes. Complete Spintires Sergey Pasichnik Mods download and see how it works personally!